As you all may have known from my constant rumblings, i had a badly cracked up skin since my returning from Melbourne. I love to travel, but the one thing I am always afraid of is having a bad skin when I return due to the change of weather. Usually a dry climate would make my skin crack up. So, this time was no surprise. I thought I was already very well prepared by bringing over face moisturizing products and having my sun block, also with moisturizing factor. Little did I realize that, application is one thing, weather your skin can absorb was another. 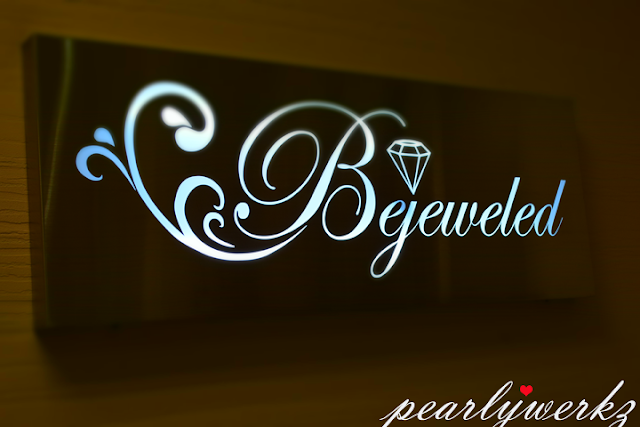 So, off I went to Bejeweled Singapore after confirming my facial. My beautician was in quite a shock and changed my facial from the hydrating one to the previous Vagheggi Emozioni Calming Facial which I have done before in fear of the adverse result this new facial might bring me. You should really listen to your beautician you know.... cause, I am so glad I did. We decided to repeat the facial. Back to the same comfortable place at Bejeweled Singapore. 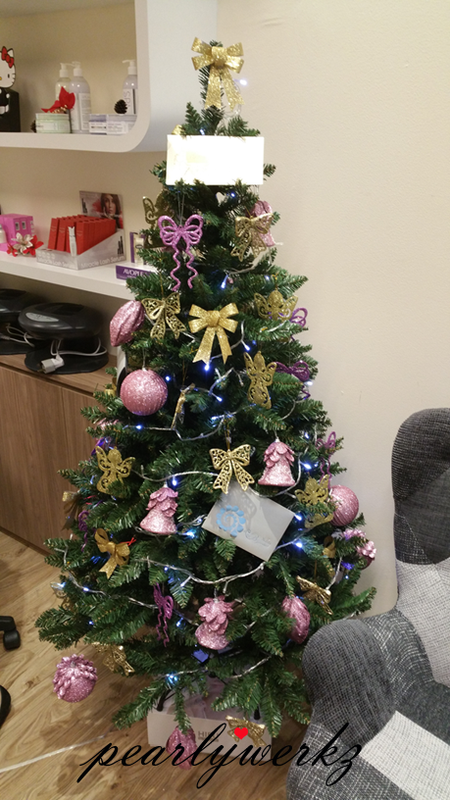 Their Christmas tree was all set up and I'm feeling all the Christmas love there. I was attended by the same beautician whom by now knows me by my face and calls me by my name. She knows my skin condition well at the back of his fingers and was able to quickly advise me on the facial which I should be doing. I spotted the Vagheggi Emozioni products in the facial room. My beautician recommended me to use a foam wash rather than normal cleansers and to apply a gel textured moisturizer instead of my milk based one. The standard of the facial was also the same as the previous, only this time round I felt that my skin was very raw and it was stinging when the mask was put on my face at the initial stage. The sting did went off eventually and there was no allergic reaction to my skin despite it was cracking, red and ultra sensitive. I shall not be long winded to repeat the details of the facial. Do let me share with you the promotion which they are currently having. You may have already seen a small snippet of it on my recent diary post . Do quote my name "Pearly Tan" when making an appointment for your Vagheggi Spa to enjoy it at a special rate of $38 (usual up to $168). Like all other facials and products, there are no miracles. After the facial, I went home and continued to use my regular skin care products. I am glad that my skin had significantly improved by now and its no longer cracking (main concern). The before photo was my face with some basic make-up on before I went for the facial. Even with make-up on, you are able to see cracks and you will notice how dry my skin was. The after photo on the other hand, was taken recently, also with some basic make-up. Despite the color differences, you can see that the make-up now sits evenly on my skin without any uneven surface. Please ignore the lighting as the photos were taken at different locations. 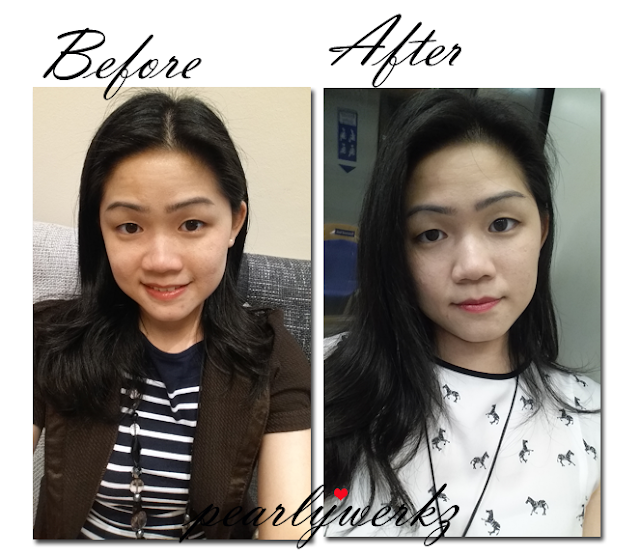 I was so upset with my skin that I had no choice but to apply make-up before I dared to step out of my house. I am glad my face is so much better now. Thank you Bejeweled Singapore for pampering me and taking care of my face.